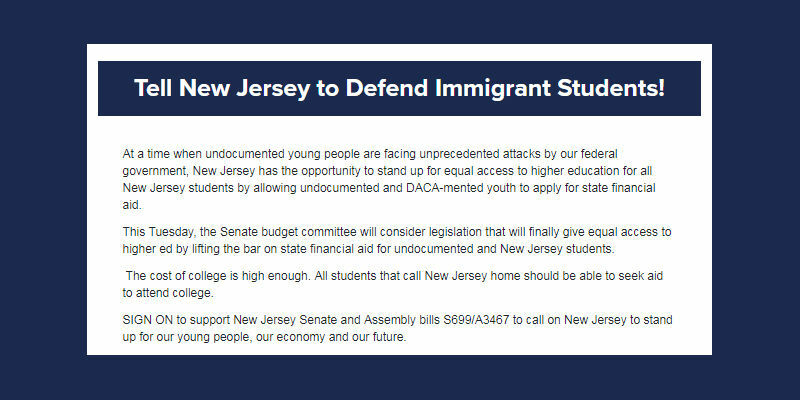 Winning in-state tuition for all New Jersey residents regardless of immigration status was an important victory. Now we must take the next step of enabling all New Jersey students to apply for state financial aid. The New Jersey State Senate and Assembly are considering legislation that will give equal access to higher education. Click on this link to sign the petition to support New Jersey Senate and Assembly bills S699/A3467.